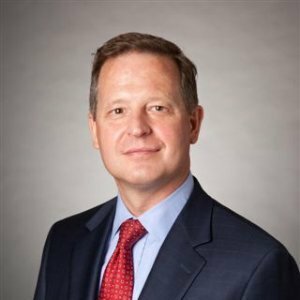 Mizuho Bank Americas (NYSE: MFG) has appointed Eric Yoss as its newest Chief Risk Officer with immediate effect, helping steer the group’s risk management operations, according to a Mizuho statement. In his new role as the Chief Risk Officer at Mizuho, Mr. Yoss will be tasked with overseeing the strategic direction for all risk and credit management in the group’s Americas operations. The appointment will also see him added to the U.S. Risk Committee and Americas Management Committee. He will be based out of New York, where he will report to Hiroshi Suehiro, Mizuho’s Senior Managing Executive Officer and Head of the Americas, and Ryusuke Aya, Chief Risk Officer for Mizuho Bank’s parent company, Mizuho Financial Group. Mr. Yoss joins Mizuho with over 25 years of experience across risk management operations and other various roles. Prior to Mizuho, he worked as the Managing Director and Head of Risk – Americas at Barclays Capital for over a decade, dating back to 2005. Additional stops also include stints at Deutsche Bank as its Managing Director and Global Head of Risk Management for Principal Risk Trading and Asset Management, as well as a ten-year tenure at JPMorgan in its Structured Finance Risk Management group, according to information made public on his Linkedin profile.